Having completed his PhD at the University of New South Wales, Seamus Grimes taught for many years at the National University of Ireland, Galway and recently became Emeritus Professor. His research in recent years has focused mainly on foreign investment in both Ireland and China. 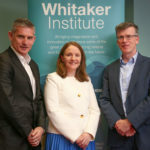 He has published in a wide range of international journals on topics such as the emergence of Irelands internationally trade services, and more recently on foreign technology investment in China in the context of Chinas new indigenous innovation policy. (2018) China and Global Value Chains. (1992) Planning and Development of Marginal Areas Ó Cinnéide, M and Grimes, S Centre for Development Studies, NUI, Galway Galway. (1990) The Irish-Australian Connection - An Caidreamh Gael-Astrálach Grimes, S and Ó Tuathaigh, G Irish Academic Press Dublin. (1990) Attracting Foreign Investment to Ireland, KPMG Stokes Kennedy Crowley, Dublin. (1984) Spatial Aspects of Post-primary School Choice in Galway City and Environs Social Science Research Centre, NUI, Galway Galway. (1980) Ireland in 1804 Grimes, S Four Courts Press Dublin. (1980) Editor of Ireland in 1804, Four Courts Press, Dublin, 1980. (2018) Asian Century ... on a knife-edge: a 360 degree analysis of Asia's recent economic development. (2010) Fatal Misconceptions: The Struggle to Control World Populationo. (2009) The digital economy: business organization, production processes and regional developments. (2008) The Dublin-Belfast Development Corridor: Ireland's Mega-City Region?. (2004) Internationalization, technology and services. (2004) The region in the new economy: An international perspective on regional dynamics in the 21st century. (2003) Information and communications technology as a potential catalyst for sustainable development: Experiences in Eindhoven, Helsinki, Manchester, Marseilles and the Hague. (2002) Knowledge, complexity, and innovation systems. (2002) Making social science matter: Why social inquiry fails and how it can succeed again. (2002) Metropolitan innovation systems - Theory and evidence from three metropolitan regions in Europe. (2002) Moral geographies: Ethics in a world of difference. (1999) The vanishing Irish: Households, migration, and the rural economy in Ireland, 1850-1914. (1992) COLLAPSING SPACE AND TIME - GEOGRAPHIC ASPECTS OF COMMUNICATION AND INFORMATION - BRUNN,SD, LEINBACH,TR. (1992) HOME IS WHERE THE OFFICE IS - A PRACTICAL HANDBOOK FOR TELEWORKING FROM HOME - BIBBY,A. (1991) CONTEMPORARY AUSTRALIA - EXPLORATIONS IN ECONOMY, SOCIETY AND GEOGRAPHY - WALMSLEY,DJ, SORENSEN,AD. (2009) From low cost platform to services hub: the case of Ireland. Department of Human Geography, East China Normal University, Shanghai. (2009) Deconstructing Irelands Policy Approach to Business Services. Keynote address, Regional Studies Association Research Network Seminar, Institute of Geography and Spatial Management. (2009) From low cost platform to services hub: the case of Ireland, . School of Management, Shanghai University. (2008) The growing significance of Ireland as a centre for internationally traded business services. Regional Studies Association Network Seminar Outsourcing and Offshoring Business Services: Theoretical Perspectives and Global Trends, Centre for Contemporary European Studies, University of the West of Scotland. (2006) Allowing the majority of humanity to emerge in their own way and in their own time: a critique of population policy. The International University of Catalonia. (2006) From manufacturing to services: the recent evolution of Irelands foreign-owned technology sector. International Geographical Union Commission on the Geography of the Information Society. (2006) The evolution of the foreign-owned technology sector in Ireland. School of Management and Economics. (2006) The Irish economic development model. Norwegian Forum of Municipal Planners. (2006) Betwixt and between: servicing the EMEA technology market from Ireland. Macquarie Graduate Business School. (2006) How effective has Irish industrial policy been in the technology sector? . 9th European Network on Industrial Policy (EUNIP) International Conference. (2005) The evolution of transnational technology subsidiaries in Ireland. Regional Studies Association, NUI, Galway. (2005) The role of transnational subsidiaries in Irelands technology sector. Conference of Irish Geographers. (2005) Betwixt and Between: Irelands role in servicing TNC markets in the EMEA region. 15th International RESER Conference. (2004) How well are Europes rural businesses connected to the digital economy? Regional Studies Association International Conference. Europe at the Margins: EU Regional Policy, Peripherality and Rurality. (2004) Irelands emergence as a centre for internationally traded services, Regional Science Association International (British and Irish Section) . 34th Annual Conference. (2004) Slippery or Soft? Is Peripherality Changing? . Annual Meeting of the IGU Commission on Evolving Issues of geographical Marginality in the Early 21st Century, University of Sterling. (2004) Irelands emergence as a centre for internationally traded services. Centre for Innovation and Structural Change, NUI, Galway. (2004) Multiple paths up the value-chain? Corporate influence and services-led development in Ireland. International Geographical Union Commission on the Dynamics of Economic Spaces 2004 ResidentialConference. (2003) Globalising the periphery: Irelands emergence as a successful European region. Royal Geographical Society/Institute of British Geographers Annual Conference. (2003) Connecting rural SMEs to the digital economy: some empirical evidence from Ireland and Scotland. 20th Congress of the European Society for Rural Sociology Work, Leisure and Development in Rural Europe Today. (2003) Invited participant to The later Burke: The animating spirit of constitutional liberty. A Liberty Fund Colloquium, Mercer Hotel. (2003) Wireless Valley, Silicon Wadi and Digital Island - Helsinki, Tel Aviv and Dublin in the ICT boom. 4th Israeli-British-Irish Workshop of the Regional Science Association. (2003) The sustainability of Irelands knowledge economy. Regional Studies Association International Conference Reinventing Regions in a Global Economy. (2003) Local advantages and global presence: a comparative analysis of the ICT sectors in Ireland, Finland and Israel. European Regional Science Association 2003 Congress. (2003) ICTs and rural enterprises in Europe. AsPIRE Project Conference. (2002) Adding value through new technologies . Offaly Leader+Company Animation Capacity Building Workshop. (2001) The relationship between ICTs and rural peripherality. EU Fifth Framework project AsPIRE meeting. (2001) The migration link between Cois Fharraige and Portland, Maine . Visiting students from University of Maine, NUI, Galway. (2001) The impact of IST on peripheral rural areas. AsPIRE Fifth Framework meeting. (2001) Researching the ICT sector in Ireland. Northern Ireland Economic Research Council. (2001) Methodological issues associated with tracing the evolution of e-commerce in Europes rural areas . Aspire (EU 5th Framework Programme) Workshop on the Changing Nature of Peripherality, Institute of Spatial Planning, University of Dortmund, Germany. (2001) Irelands emerging information economy. Conference of Irish Geographers. (2001) Deconstructing the human in geography . Department of Geography. (2000) IT-related inward investment to Ireland . Geography students of the University of Utrecht, NUI, Galway, 1998. (2000) Regional development in an Irish context. Drew University, New Jersey, visiting Geography students, NUI, Galway, 2000. (2000) The impact of EU Information Technology programmes on European cohesion: the case of Ireland. Royal Geographical Society-Institute of British Geographers Annual Conference, University of Sussex. (1998) Invited Paper: Rural areas in the Information Society . Workshop on Information Technology and its implications for rural community groups. (1997) Norway and Ireland in comparative perspective. Departamento de Geografia, Universidad de Navarra, Espana, 1995. (1995) Ireland - the challenge of developing a European peripheral region. Special course on Environment and Sustainable Development in Peripheral Regions, Department of Geography, University College Dublin. (1995) Controlling Third World population growth: a major theme in the UN Population Conference in Cairo. Department of Geography. (1995) The Irish experience in the European Union. Department of Economics students. (1994) The Irish development model within a European context. Visiting Elon College (USA) Economics students. (1994) The future of work in the global economy. Social Sciences Faculty seminar, The University of Navarre, Pamplona, Spain, 1994. (1994) Information technology and economic development: the Irish experience. 25th Conference, Regional Science Association. (1992) Galway city - processes of change. University of Leicester Geography Field Group. (1992) Ireland in the European Community. University of St Andrews Geography Field Group. (1990) Residential segregation in Australian cities. 12th World Congress of Sociology, Madrid. (1990) Attracting Australian investment to Ireland. The Economic and Social Research Institute. (1988) Postwar Irish immigrants in Australia: the Sydney experience. International Geographical Union Congress. (1988) The migration link between Cois Fharraige and Portland, Maine, 1880s-1920s. Conference of Irish Geographers. (1988) The Sydney Irish: a hidden ethnic group. The Irish-Australian Bicentenary Conference. (1987) With Precedo, A, Urban transition and local development in a peripheral region: the case of Galicia. International Geographical Union. (1986) With Precedo, A, Tertiarisation and the Spanish system of cities. International Geographical Union. (1986) Rural change in the Northwest region during the 1970s. Annual Conference of Irish Geographers. (1986) Rural resurgence in the Northwest region in the 1970s. The Economic and Social Research Institute. (1985) Land tenure in County Leitrim: the social and demographic background since 1970. International Seminar on Marginal Regions, NUI. (1984) Spatial aspects of post-primary school choice in Galway City. The Economic and Social Research Institute. (1984) Post-primary education in Galway City. Ninth Annual Conference of the Educational Studies Association of Ireland, University College Dublin, 1984. (1983) Spatial aspects of post-primary education in Galway city. Conference of Irish Geographers. (1981) Spatial aspects of Irish immigrant friendships in Sydney. Conference of Irish Geographers. (1980) Friendship networks of Irish immigrants in Sydney. The Institute of British Geographers Urban Study Group Conference. (2001) Comment on Matthew Hannah and Ulf Strohmayer Anatomy of debate in human geography. (2005) The hidden side of Irelands success. MercatorNet. (1999) Revista Cooperación International. From populating to depopulation: the ideology of population control. (1999) El debate sobre la poblacion cambia de signo. Aceprensa. (1995) Ireland the challenge of developing a European peripheral region LLASS Working Paper. Department of Geography, University College Dublin. (1994) Fertility decline in Western Europe, Population Research Institute Review. (1994) Information technology and the periphery: the case of Ireland, Information Technology in Developing Countries. (1993) Information technology and rural areas: myths and reality, Information Technology in Developing Countries . (2011) Can China become an innovation hub?. (2004) Final Report, AsPIRE (Aspatial peripherality, innovation, and the rural economy) EU Fifth Framework Programme . European Commission. (2003) Information Society Technology Thematic Report, AsPIRE (Aspatial peripherality, innovation, and the rural economy) EU Fifth Framework Programme . European Commission. (2000) Pilot Audit of ESPRIT Contribution to Regional Cohesion (COHEN) . DG Information Society and Telecommunications, European Commission. (1996) The Internet as a Collaborative Learning Resource, Unit for Innovation in Higher Education, LancasterUniversity. (1991) The Transformation of the Irish Rural Economy: Lessons for Galicia, (Consultancy report for the Xunta de Galicia). (2010) Review of Connelly, M, Fatal Misconceptions: The struggle to control world population. (2008) The digital economy: Business organization, production processes and regional developments . Progress in Human Geography. (2008) The Dublin-Belfast Development Corridor: Irelands Mega-City Region?. Journal of Regional Science. (2004) Internationalization, Technology and Services 2002 . (2004) The Region in the New Economy - an international perspective on regional dynamics in the 21st century, Aldershot: Ashgate, 2002. Journal of Regional Science. (2003) Information and Communications Technology as Potential Catalyst for Sustainable Development - Experiences in Eidnhoven, Helsinki, Manchester, Marseilles and The Hague Aldershot: Ashgate, 2002. The Professional Geographer. (2002) Knowledge, Complexity and Innovation Systems, Berlin: Springer-Verlag. Metropolitan Innovation Systems - Theory and Evidence from Three Metropolitan Regions In Europe Berlin: Springer-Verlag. Annals of the Association of American Geographers. (2002) Moral Geographies: Ethics in a World of Difference. Annals of the Association of American Geographers. (2002) Making Social Science Matter: Why social inquiry fails and how it can succeed again. Regional Studies. (2001) Planet Dialectics London: Zed Books . Progress in Development Studies. (1999) The Vanishing Irish - Households, Migration, and the Irish Economy in Ireland, 1850-1914, . Population and Development Review. (1996) Travellers and Ireland: Whose country, whose history?. Irish Geography. (1996) Oceans of Consolation: Personal Accounts of Migration to Australia, Cork University Press, 1994 . Journal of the Galway Archaeological and Historical Society. (1993) RESIDENTIAL SEGREGATION IN AUSTRALIAN CITIES - A LITERATURE-REVIEW. (1992) The Irish Emigrant Experience in Australia, Poolbeg, Dublin, 1991. Linen Hall Review. (1992) Home is Where the Office is, Headway, Hodder and Stoughton, London, 1991 . Journal of Rural Studies. (1991) Collapsing Space and Time: Geographic Aspects of Communication and Information, Harper Collins Academic, London (1991) . Regional Studies. (1989) The Road to Botany Bay, Faber and Faber, London 1987 . Australian Studies. (1988) Contemporary Australia: Explorations in Economy, Society and Geography, Longman Cheshire, Melbourne, 1988 . Transactions of the Institute of British Geographers. (1988) Brady, Shipman and Martin, Donegal-Leitrim-Sligo Regional Survey . Geonews. (1988) Nineteen Acres, 1987, House of Healy . Geonews. (1981) Digging up Dublin. Irish Geography. (2010) The evolution of Irelands FDI model. CISC Fourth Level Module. (2010) The growing significance of internationally traded services in Irelands inward investment . Department of Geography. (2010) The internationally traded services sector in Ireland. Global Business, MSc International Management. (2010) R&D investment in Shanghai: the significance of the Chinese market, Transnational Corporations, Knowledge and Networks in Chinas regional economy. Justus Liebeg University. (2009) Innovation in China  some evidence from foreign R&D centres in Shanghai . CISC Seminar. (2009) Innovation in China  some evidence from foreign R&D centres in Shanghai. Royal Geographical Society/Institute of British Geographers. (2008) Seeking common ground for a just society. Thomas More Institute. (2008) Seeking common ground for a just society. Greygarth Hall, University of Manchester. (2008) The role of foreign investment in Irelands emerging internationally traded services sector. Staff and Postgraduates of Geography, East China Normal University, Shanghai, 7. (2007) The evolution of Irelands technology sector and its role in servicing the EMEA region. Strathmore University, Nairobi, MBA Class. (2007) Ethical aspects of development. The Geography Department, University of Nairobi. (2007) Researching Irelands Internationally Traded Services Sector. 3rd International Conference on Services and Innovation, The Royal Hospital Kilmainham. (2007) The European and Irish experience in e-commerce. MBA Class, The Catholic University of East Africa, Nairobi, Kenya. (2006) Betwixt and Between: Irelands role in servicing TNC markets in the EMEA region. Macquarie Graduate School of Management, Macquarie University. (2006) Invited speaker: ICTs and rural areas: the European experience. EU-China Information Society Project, Jangyuan Informatisation Department. (2006) Invited speaker: ICTS and rural areas: the European experience. EU-China Information Society Project, Handan Informatisation Department. (2006) Invited speaker: ICTS and rural areas: the European experience. EU-China Information Society Project, Jiyuans Municipal Peoples Government, Jiyuan. (2003) Invited lecture: The role of internationally traded services in integrating Ireland into the global economy. Mary Immaculate College/University of Limerick Department of Geography. (2002) Invited to give keynote address on The emerging information economy in Ireland . 5th Conference on Regional Development in Seinajoki New Technologies and Regional Development. (2001) eWorking in rural areas: the potential and the barriers. 9th National Conference of Telework Ireland. (2001) Information economy activity in Galway city and region . Geographical Society of Ireland Conference. (2000) The significance of Irelands participation in the Information Economy . Invited lecture as part of the Third TEMPUS programme, Hungarian Academy of Sciences. (2000) . Invited participant to Final Seminar, Institute for the Urban Economy/French Ministry of Economy, Finances and Industry. (2000) Information technology and regional economic development in Ireland. Economy/French Ministry of Economy, Finances and Industry. (2000) Regional Development: the Irish experience within the European Union. Seminar to MA Programme in Public Administration. (2000) Invited keynote address: Irelands incorporation into the information economy. IT-forum 2000. (1999) Sustainable growth for competitive regions - IT-related inward investment and regional development in Ireland. Regional FuturesMeasuring Success: Models for Sustainable Development in the Information Society, International Conference. (1999) Information technology and economic development: the Irish experience. Hungarian Academy of Sciences, Pecs, Hungary (Tempus Programme). (1999) Overview of opportunities offered by IST for EU peripheral areas99. Invited keynote address: 5th European Digital Cities Conference - Telematics for European peripheral areas, Also concluding session of the conference based on 50 or so presentations. (1998) IT-related Foreign Direct Investment in Ireland: an integrated policy or short-term strategy?. ESPACE IV, Sophia Antipolis, France. (1996) Information and communication technologies and foreign direct investment in Ireland. International Workshop - Europe and the Developing World in the Globalised Information Society: Employment, Education and Trade Implications, Intech (The United Nations Institute for New Technologies). (1996) Overcoming peripherality by exploiting information and communication technologies: the case of Ireland. Signatures of Knowledge Societies - Joint Conference of European Association for the Study of Scienceand Technology and Society for Social Studies of Science. (1995) Regional development aspects of information technology in Ireland. Workshop on Informatics and Telecom Tectonics: Information Technology, Policy, Telecommunications and the Meaning of Space. (1995) Regional implications of Information Technology. Regional Studies Association (Irish Branch) conference Regional Development: An all Ireland perspective. (1993) Information technology and rural development: opportunity or agent of decline?. Second International School of Rural Development. (1992) The transformation of the Irish rural economy: lessons for Galicia. Congreso Internacional A Periferia Atlantica de Europea: O Desenvolvemento E Os Problemas Socioculturais, Santiago de Compostela, 1992. (1992) Exploring the potential of telecommunications: perspectives from the European periphery. The International Geographical Union Congress. (1991) Exploiting information and communication technologies for rural development. First International School of Rural Development. (1991) Information technology and rural development. Xornadas Internacionais Sobre Desenvolvemento Territorial E Commarcalizacion, Santiago de Compostela. (1991) Immigration policy and the settlement of postwar immigrants in Australian cities. European Association of Studies on Australia Conference The Making of a Pluralist Australia 1950-1990, University of Berne, Switzerland, 1991. (1991) Fostering indigenous entrepreneurship in the European periphery. International Conference on Planning and Development of Marginal Areas. (1990) Postwar Irish immigrants to Australia. Geographical Society of Ireland Conference on Contemporary Irish Migration. (1988) Postwar Irish immigrants in Australia: the Sydney experience. Department of Geography, University of New South Wales and University of Sydney. (1988) Labour force changes in the Irish rural periphery. Department of Geography, University of New South Wales, 1988. (1983) The Irish in Sydney: adaptation to a new environment. Australia and Ireland 1788-1988 Conference. I have an on-going collaboration with Professor Debin Du, East China Normal University Shanghai.